This is my daughter. She loves Disney villains. 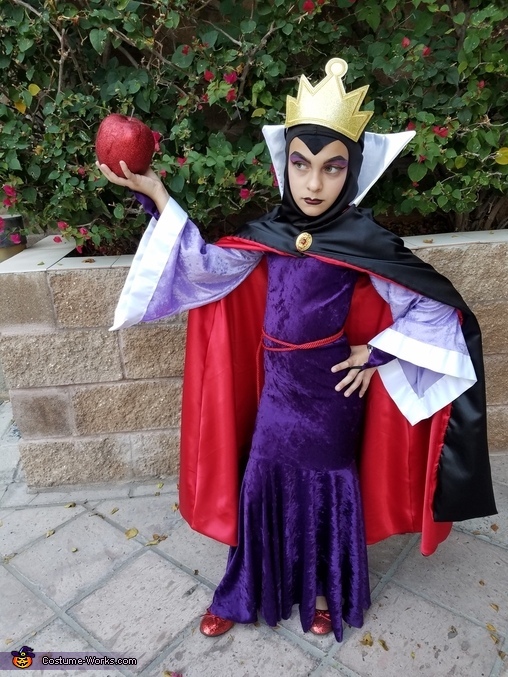 We decided on the ever queen this year and she loved the way it turned out! I used cheap stretch velvet from joanns for the dress and heavy satin from my local fabric store for the cloak. I used a few pdf patterns and modified then to get the look I wanted. The cloak was the most intimidating but I used two layers of the stiffest interfacing for the collar and it came out perfect. She really loves to dress up and never breaks her character when she's out. She has the perfect villain face all the time!